Accommodation in the Village of Radium Hot Springs, BC. The accommodation in Radium Hot Springs caters to everyone who wants to stay and enjoy the local attractions and soak in a little "peace"
The Village of Radium Hot Springs is located 135 km west of Banff, at the entrance to Kootenay National Park, towering canyons, amazing wildlife and exquisite natural vistas will greet you when you arrive in Radium Hot Springs. Stay 6 Consecutive Nights and get the 7th Night FREE! Stay 6 consecutive nights at Lakeshore Resort & Campground and get your 7th night FREE on all 2019 Bookings! 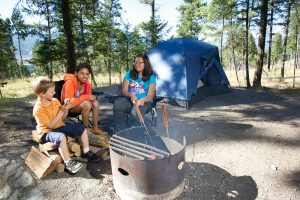 Save 15% on your next 2 night minimum resort camping experience at Radium Valley Vacation Resort. Your "Gateway" to a Soak! Book direct between April 1 & June 30th with the Radium Gateway and receive 2 passes to the Radium Hot Springs Pools. Book a stay at the Prestige Radium Hot Springs Resort and experience the best of our hotel and our community: the food and the hot springs! The Longer You Stay, Less You Pay this Spring! We have great places to stay while you play in our peaceful little village. The Village of Radium Hot Springs is a traveller’s delight, accommodation that will remind you of home! 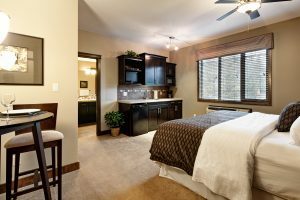 If you’re looking to sink into the lap of luxury, relax in a rustic retreat, or get comfortable in a convenient roadside motel, you will your ideal style of accommodation here. Our extensive range of accommodation will meet your every need. We have accommodation from full-service campgrounds and RV Parks for those who want to spend as much time in the outdoors as possible; family-run motels and bed and breakfasts for those who are budget-conscious; and luxury resort suites and private alpine chalets for those seeking to relax in luxury. Whether you’re here for a family vacation, a business trip, or a romantic getaway for two, you can count on the warmest hospitality and an amazing place to stay. Many accommodations can be located just off Main Street, they provide hot breakfasts, offer packages, and some have fitness facilities and indoor / outdoor pools to enjoy after a great day of seasonal activities. There are also plenty of nearby dining options in the Village of Radium Hot Springs from a quite dinner by the fire to a drink on a deck and some great live music. Nothing compares to a soak in our world-famous hot springs and a quiet evening in after a great day of activity. Whatever your favorite style of accommodation is you will find it here in the Village of Radium Hot Springs. Soak in the scenery while camping in the Village of Radium Hot Springs. If you prefer sleeping close to the ground or your home on wheels is more your style the Village of Radium Hot Springs is your camping destination and the perfect place to pitch your tent or park your RV! There's nothing like the Condo or Cabin life in the Village of Radium Hot Springs! Surrounded by Golf Course views, hiking trails, and magnificent wildlife to help you completely unplug and relax with all the comforts of home. In the Village of Radium Hot Springs you’ll find many great Hotels, Motels and Resorts. Many located along highway 93 as you enter the community upon exiting Kootenay National Park, the others in the heart of the community, all with great access to local amenities. Many accommodations provide breakfast, hot or Continental, BBQ areas, incredible outdoor seating, and indoor / outdoor hot tubs and swimming pools providing a great way to relax after a great day of Summer or Winter activities. There are plenty of dining options in Radium Hot Springs and some offer full restaurant and licensed facilities. Inns or Bed & Breakfasts offer a more intimate experience typically within a quaint home or lodge. With private rooms and the comforts of home these two options are a great way to meet and mingle with other guests and the owners. Breakfast is always superb and included with each stay.